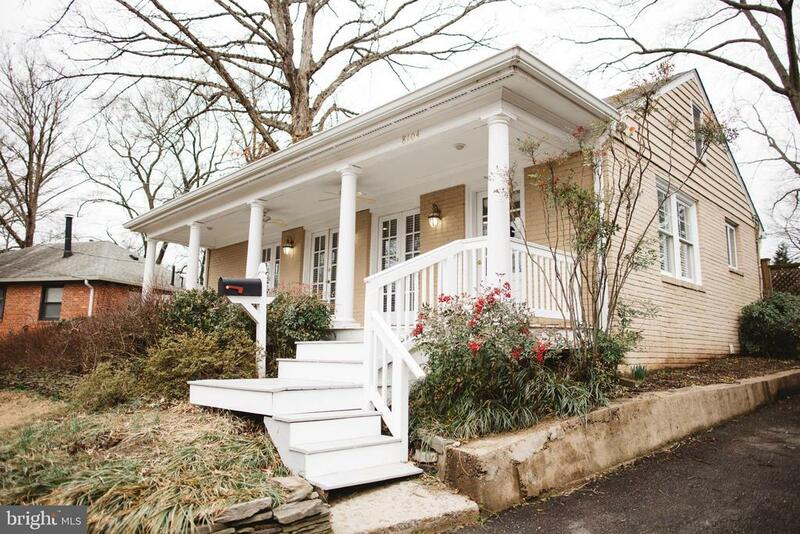 Adorable home on a coveted hollin hall cul-de-sac. An inviting front porch and french doors lead into a sun-filled living room. Expanded kitchen offers stainless steel appliances, maple cabinetry, two ceiling fans and ample storage/pantry space. From the kitchen, sliding glass doors welcome you to an oasis of a backyard, including a custom oversized fire pit and a huge, freshly painted deck. Backyard is fully fenced, private and lush. Freshly painted walls, hardwood floors, and recessed lighting throughout this gem of a home. So much to offer with this location: walking distance to hollin hall shopping center, m101 bus line, 0. 5 miles to gw parkway and bike/walking trail, 15 minute drive to huntington metro. Super easy and convenient commute to all bases in the dc/md/va area. Mt. Vernon park association pool and park is a block away. Zoned for waynewood elementary school, carl sandburg middle school, west potomoc hs. Co-Listing Agent: Elke E Kohler Co-Listing Office: Long & Foster Real Estate, Inc.
For more information or make an appointment to see property ID VAFX994316.